The Indianapolis Colts will be making the switch to a 4-3 defense in the upcoming season with new defensive coordinator Matt Eberflus taking over. So with that in mind they were targeting help at the defensive end position in this weekends draft. 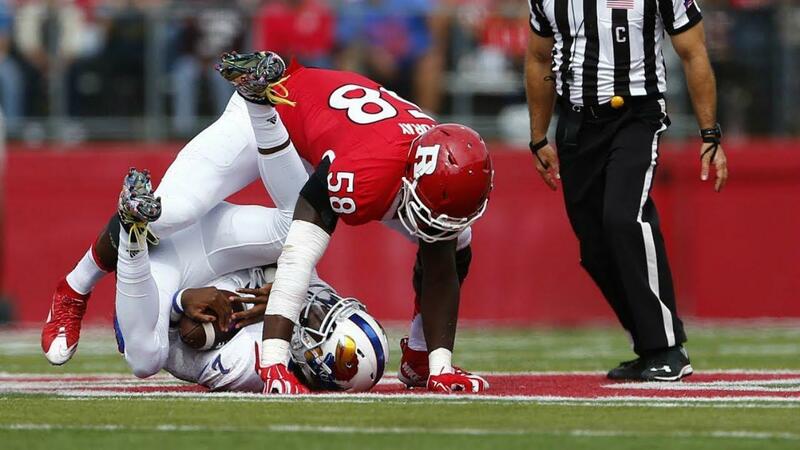 With the 49th overall pick the Colts selected defensive end Kemoko Turay out of Rutgers University. Turay is fun prospect for this team. Taking him 49th is just about the right spot for him as Turay brings an interesting skill set to the table. He fits the scheme almost perfectly with his speed rush ability to get out of his stance quickly and hit the quarterback. Turay can flat out bend the corner, a skill Indy’s pass rushers have lacked since Dwight Freeney. Turay will still need a little bit of work but as I mentioned earlier Chris Ballard has placed his trust in the new coaching staff to bring this group along. The Colts are adding depth and position flexibility in their draft picks which is something they haven’t had in long time. Turay is a strong athlete that will fit in just fine with the Colts. Ballard has had a strong draft to this point, he needs to keep it going into rounds 4-7. One final note…Kemoko Turay can see the future, at least based off the video below.